Climate change “has moved firmly into the present,” a massive new report finds. But its politics have regressed. “Oklahoma is burning, both literally and figuratively,” the state’s climatologist reported Monday, as temperatures soared into the triple digits and draught-stricken grasslands provided tinder for wildfires in several counties. The western part of the state faces the worst of the heat wave; grab the panhandle, and it will singe your palm. In Oklahoma, this is supposed to be the wettest part of the year. Across the United States, the abnormal has become a new normal. “Climate change, once considered an issue for a distant future, has moved firmly into the present,” scientists affirmed in the National Climate Assessment, a congressionally mandated report released on Tuesday. Its authors found that climate disruption is already evident in every region of the country. Although scientists caution against chalking up each aberrant event like the Oklahoma heat wave to climate change, such extremes are consistent with the severe weather and seasonal disruptions they anticipate in the future. The flip side to the longer periods of hot temperatures and drought that have been documented recently is a noted increase in heavy downpours, particularly in the Northeast, Midwest and upper Great Plains. The temperature is gradually rising, and air holds more moisture as it warms; it is then released in heavier rainfalls. In September, a year’s worth of rain flooded through parts of Colorado in a week. In April, workers in Washington State spent thirty-eight days looking for bodies in the debris left by a massive landslide. The costs of a changing climate are staggering. Weather disasters with billion-dollar price tags have occurred in many states in recent years but with particular frequency in the Southeast, Texas and Oklahoma. 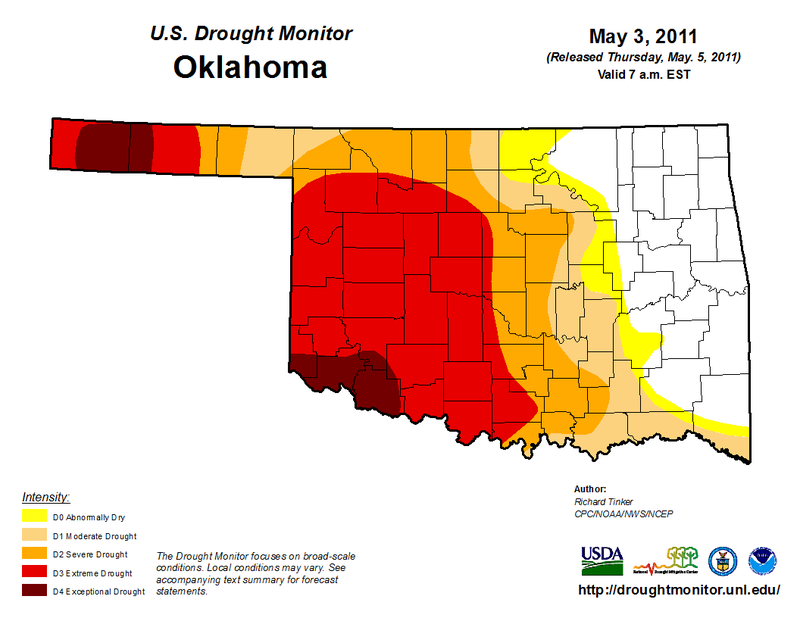 Agricultural losses from the 2011 drought in Oklahoma and Texas alone amounted to more than $10 billion. In 2012, a late-spring cold snap after a warm winter caused $200 million in damage to Michigan’s cherry industry. The damage from Hurricane Sandy is thought to have exceeded $65 billion. Hurricane winds and rising seas cost Gulf Coast states $14 billion a year. By 2100, a four-foot rise in sea levels will cause $325 billion in damage nationally, with destruction in Florida alone totally $130 billion. The climate toll is also born by bodies, and some more than others. “Certain people and communities are especially vulnerable, including children, the elderly, the sick, the poor and some communities of color,” reads the report. Heat, drought and wildfires worsen air pollution and respiratory stress, and scientists expect more emergency room visits and early deaths. The risk of waterborne diseases is rising along with rainfall and flooding. Diseases transmitted by fleas, ticks and mosquitos are spreading as climatic shifts make new regions hospitable to the carriers. More people will die from heatstroke and from the effects of extreme heat on other conditions like heart disease. 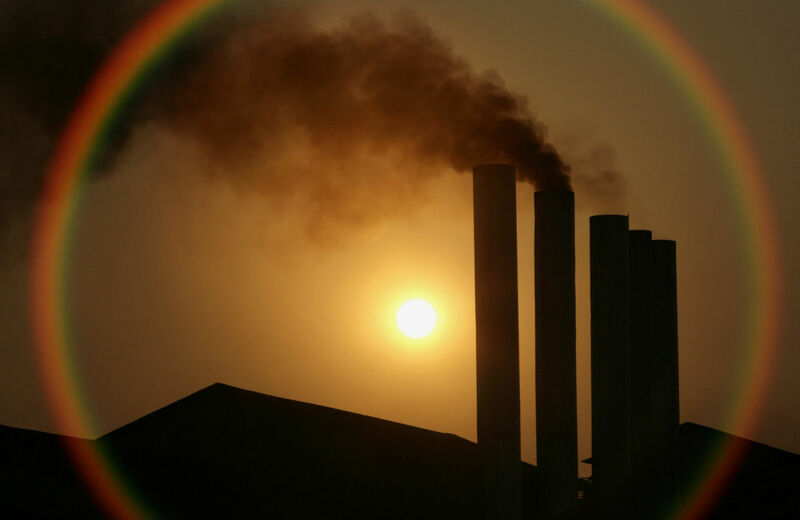 The assessment lays the foundation for a renewed climate push by the Obama administration. The White House will host a summit on green buildings on Wednesday, and announce a new solar power initiative on Thursday. The Environmental Protection Agency is expected to issue rules to limit carbon pollution from existing power plants next month. Depending on their strength, the regulations are likely to be the most significant single action the president can take to cut domestic emissions. It’s significant that climate change has returned to a prominent position on the administration’s agenda after so much stubborn celebration of “all of the above” energy. But for a better indicator of the political obstacles to climate action, look no further than Oklahoma senator Jim Inhofe, a notorious skeptic who dismissed the release of the climate assessment while his state burned. “The president is attempting to once again distract Americans from his unchecked regulatory agenda that is costing our nation millions of job opportunities and our ability to be energy independent,” Inhofe said in a statement. It’s plausible that at some point deadly mudslides and prairie fires and ruined crops will force people like Inhofe to grapple seriously with climate change. But by the time they do, any legislative action is likely to be about salvaging what’s left rather than warding off the worst. Why am I pessimistic about a shift in Republican attitudes before it’s too late? The immensity of climate change demands assertive federal action—there’s no way the free market and piecemeal local and state regulations will bring US emissions down by a meaningful measure on their own. Oil, coal and gas companies won’t leave trillions of dollars in the ground out of the goodness of their hearts; infrastructure transformation won’t happen without incentives. For Republicans, it’s still better to deny reality than to acknowledge the full implications of what lies head. Because what lies ahead poses a major existential dilemma for the GOP’s ideology: acknowledging climate change in its terrifying proportions means accepting government intervention on a massive scale—or a future of mass suffering.